With the weather being a little brisk with the promise of warming up, I thought I’d post a recipe for some soup I’ve enjoyed recently for you to try if you’re feeling soup-y and have some time to spare on a rainy day. 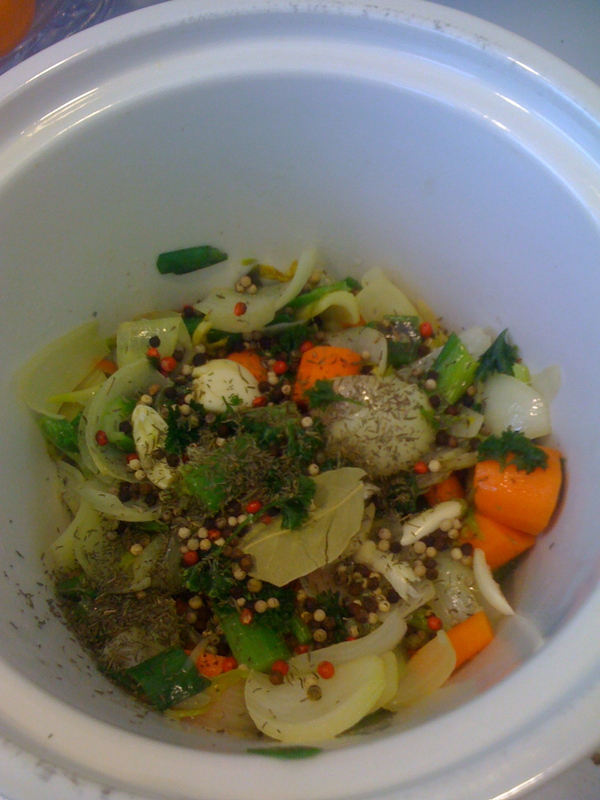 I blogged awhile ago about The Soup Peddler’s Guide to Slow and Difficult Soups. It was a fun book to read & had a couple recipes that sounded good. I only ended up trying the minestrone recipe but I am very glad that I did! I have never enjoyed minestrone- the kinds I’ve had have always consisted of mushy noodles and bland mushy veggies. However this minestrone was out of this world! There were a couple tricks that made it superb- the homemade vegetable stock, and studding the onions with a few cloves gave it a rich flavor. There is also the addition of toasted, crushed fennel seeds near the end of the cooking time that adds a lot. If you’ve got a crock pot making homemade vegetable or chicken stock is RI-Diculously easy- chop the veggies, add water and you’re done. plus, it just looks pretty. Plus you get delicious soup! 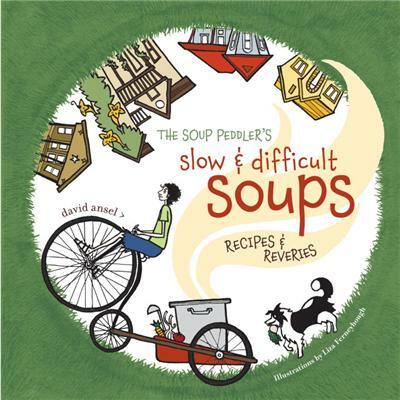 Unfortunately there isn’t a link available for this soup online, but I’m guessing your local library has a copy of The Soup Peddlers book, or you can order it from amazon if you’re feeling super-soupy. bubble, bubble, toil and trouble! This recipe for soup actually makes double! 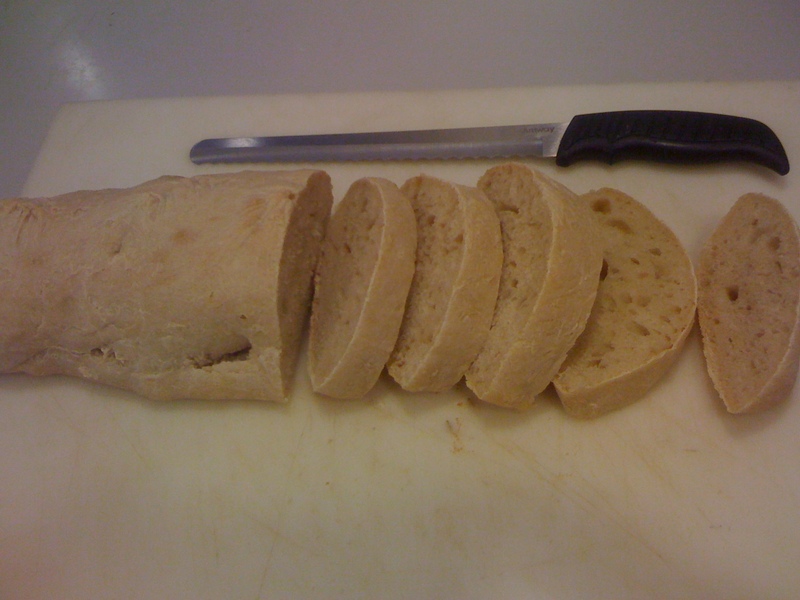 serve with some crusty bread & you've got a healthy, filling & delicious meal! 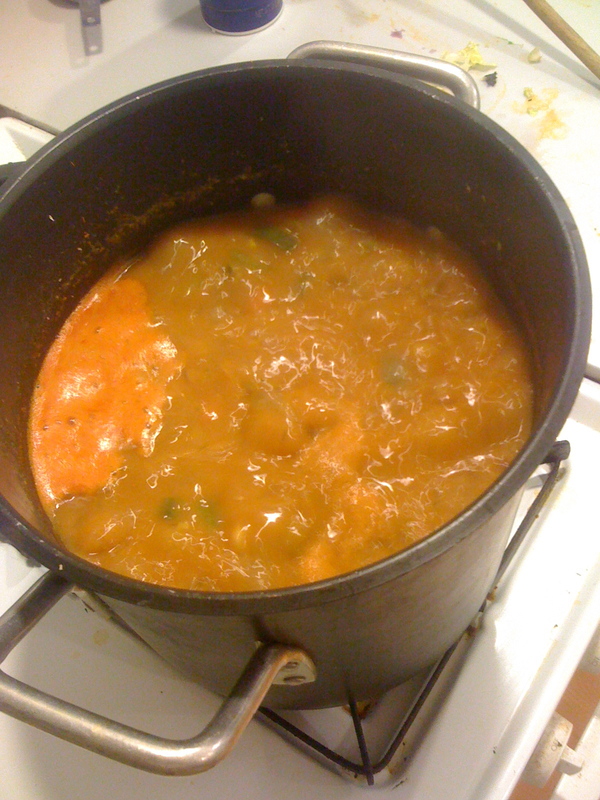 If you’re just dying to try a minestrone soup recipe after this post, you can check out this recipe at allrecipes.com. I’ve never tried it, can’t vouch for it but it has over 900 positive reviews. That’s usually a good sign. OH man, does that look good!